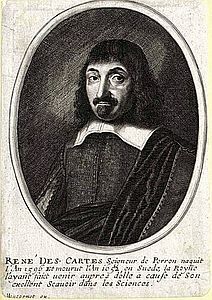 Descartes, with his sentence “cogito, ergo sum” (I think, therefore I am), has declared thinking as the basis of humanity like no other philosopher. Of course, it is easy to understand conscious thinking as the central process of being human. However, is this true? Let’s do a simple thought experiment: when I think of violence, am I a criminal? When I think of giving presents to someone else, am I a benefactor? Even in this simple thought experiment, it becomes clear that conscious thinking can always focus on just one point – just as speaking does. Does this one focus defines human being? Hardly likely. What constitutes humanity much more is the sum of the experiences of a human being. This wealth of experiences could therefore be considered as being human. The exciting question is now how we draw on this wealth of experience. Certainly, we can consciously remember a single event in our past. However, does that help us to recognize who we are? There is one system that is able to assess the vast majority of personal experiences at once. Personality psychologist Julius Kuhl calls this system “extension memory”. This system can assess a person’s wealth of experience in a parallel and holistic way and gives a feeling as a result of this assessment. This self-system or so-called extension memory becomes especially important when it comes to assessing and evaluating social interaction in a matter of seconds. For example, when I meet a person I did not know before, after a very short time I know how to judge that person. Maybe this first assessment is not very accurate. But at least it gives an indication of how I should deal with this person in the future. Thus, the extension memory is capable of retrieving all associations with a new person within a very short period of time and of pooling those associations in a feeling for that person. Therefore, if everything goes well, within a few moments I know if I can trust this person. Or if I’d rather avoid this new person. The extension memory is also responsible for a whole series of processes, such as the intrinsic motivation for learning, which we just demonstrated in the current research project Sensomot – read this in the next blog post “motivated learning“.